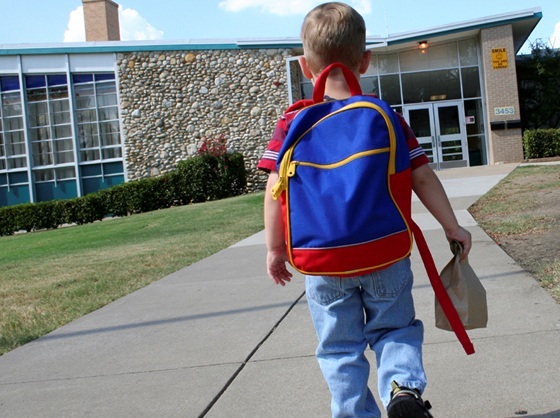 As children return to school, parents want to ensure that they are healthy and energized. Following these three simple reminders will help you and your child get started on a great school year! 1) Having three main meals (plus one to two snacks) a day, including protein and colourful vegetables, helps prevent nutrient deficiencies and boost immunity. Vitamin C and zinc are two important nutrients for the immune system. Foods rich in vitamin C include papayas, kiwis, strawberries, dark leafy greens (also a source of calcium), broccoli and bell peppers. Foods rich in zinc include lean meats, egg yolks, fortified cereals, pumpkin/ sunflower seeds and nuts. 2) Have your breakfast! Breakfast in the morning will provide energy and improve your child’s alertness, attention span and school performance. It should comprise of foods from various food groups. Try adding papaya chunks, almonds or pumpkin seeds to the usual bowl of steel-cut oats or muesli. If your child is a picky eater and prefers having only one food at a time, don’t stress over not having a meal of balanced nutrition. Instead, just rotate healthy breakfast ideas and aim for a balanced week. 3) Studies show that children who get adequate sleep have better functioning immune systems. This is because sleep deprivation decreases our body’s production of infection-fighting antibodies and cytokines. School-aged children should aim for 10 or more hours of sleep per night, while teenagers should get at least 8 to 9 hours per night. If your child persistently has trouble falling asleep or wakes up intermittently throughout the night, it’s important to address the root cause of the issue. Click here to see how Dr. Yik can help your child attain optimal health. This entry was posted in Babies/ Children, General, Nutrition and tagged immune system, immunity, nutrition, sleep. Bookmark the permalink.